Skylanders Imaginators arrives in just a couple weeks, and Activision/Toys for Bob have a way to give your inner Skylanders designer a little salve until it it does. The Skylanders Creator app will be arriving on iOS and Android platforms soon and, similar to the Imaginators game, you will be able to create your own Skylander. For a limited time, you can even order a 3d printed figure of them, too. The app features the same creation tools that will be featured in Skylanders Imaginators so you can choose a base class and select their features (such as head, torso, weapon, arms, legs), and then give your Skylander a name. If you love your new creation, you can then order a 3d printed figure of them for $49.99, or order a high-quality trading card with a full color image of your custom-made Skylander on it for $14.99. Both the figure and the card can be used with the Imaginators game to bring your creation into the game. It's worth noting, though, that this is the only way to do so. While you will be able to transfer any designs you make in the new title to the Creator app via an audio signal (what?! 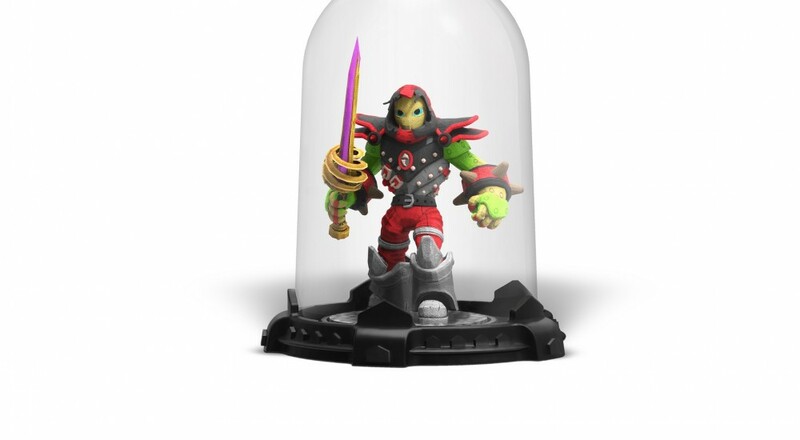 ), but the only way to get your Skylanders from the app to in-game is to order either a card or a figure. The good news with the figure, at least, is that if you do decide to go that route, it will come with both a base and a clear, protective dome, so you can cherish it forever. The Skylanders Creator app should be available on the Apple App Store and Google Play Store soon, while Skylanders Imaginators will arrive on the Xbox One, Nintendo Wii U, Xbox 360, Playstation 3, and PlayStation 4 in just two weeks' time. Page created in 0.8449 seconds.